The County Councils Network said the extra 1% would raise £105m for counties over the next two years. Those 27 county councils and 10 county unitaries need to save £1bn by 2020. Leaders are warning this shortfall will mean counties have to make “unpalatable” decisions unless the government rethinks its funding allocations. The plea was made in the CCN’s response, published this week, to the local government finance settlement. 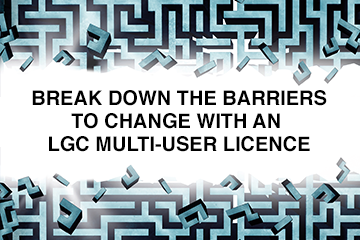 LGC previously reported that counties were disappointed the transition grant – which had totalled £292m over the past two years – had not been extended into 2018-19. CCN said the majority of its members are likely to add on the extra 1% to council tax bills to make up some of the funding shortfall. The average band D property bill in 2017-18 is £1,662 in county areas, £132 higher than the national average, itsaid. If the government extends the transition funding for the next two years it would help to limit council tax rises and prevent widespread service closures, the CCN added. Paul Carter (Con), CCN chair and leader of Kent CC, said: “The ending of essential grants this year for frontline and life-critical services means we are facing some truly unpalatable budget decisions, which will see rural bus subsidises all but end, new charges for care services, children’s centres and libraries disappear and potholes go unfilled. “Even if counties raise council tax under these new freedoms, it won’t prevent many of these service reductions taking place. Residents in rural counties will be asking why they are paying so much more in council tax than anyone else but receiving so much less.